As I got older, my favourite part of Christmas day was opening my stocking. Of course, I liked whatever "biggie" present my Mom had purchased for me, but the stocking contained fun things that I needed - things like candy, shampoo and holiday lip gloss - essentials for any teenage girl. 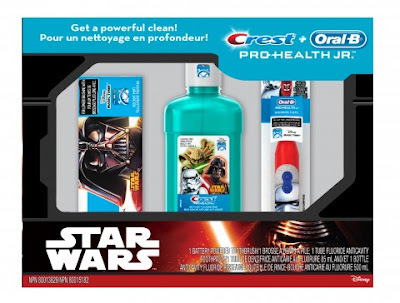 Star Wars holiday gift pack retails at $16.98 and contains 1 battery powered Oral B Toothbrush, 1 tube Crest Fluoride anti-cavity toothpaste and 1 bottle Crest Anti-cavity rinse. Olay & Venus holiday gift pack retails at $14.97 and contains 1 Olay Ultra Moisture Body Wash, 1 Olay Ultra Moisture Body Lotion and 1 Venus razor with cartridge. Old Spice Holiday Pack retails at $14.97 and contains 1 Old Spice Pure Sport body wash, 1 Old Spice Pure Sport travel body wash, 1 Old Spice Pure Sport deodorant, 1 Old Spice Pure Sport body spray and 6 Old Spice Pure Sport bars. To help with your holiday shopping, one lucky YYZ Bambina reader will win a $50 Walmart gift card. 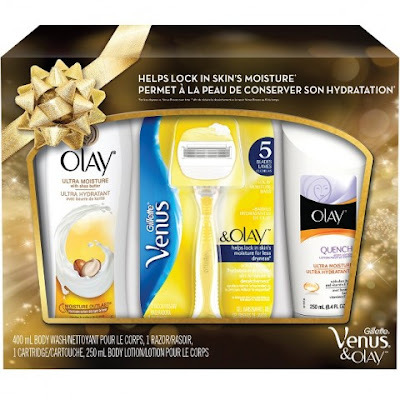 Enter using the Rafflecopter below by Dec. 11th, 2015. I do my shopping in the stores. I like to get it out of the way early. Shop early and anything last minute "last minute" online, ha ha! I make my list, go in to the stores and get only what's on the list and get out as soon as possible. I try getting most of it done Black Friday and Cyber Monday. I make a list and try to get stuff every time I go out. I also prefer to shop online when I can. I gather ideas well in advance & then begin shopping near end of October. I also put a lot of effort into reading product reviews & also research promos, sales, etc to save a bit of money in the process. I do alot online, watch flyers and go from there! I pick things up as they go on sale. I am always checking prices. My routine is to buy things starting in the summer that I see my kids and family would like. I always go to the "back" of stores for their sale items. Bailey Dexter I start in Jan & watch for the sales! I also watch on-line for deals & use codes! I shop early or online, I don't like busy malls. I shop throughout the year to get the best deals and so I'm less stressed at holiday time. I'm actually done my shopping now! 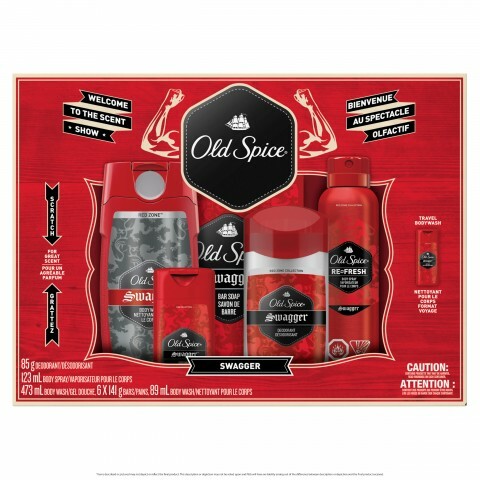 I like to win most of them and get the rest at Shoppers on spend your points day. I wirte down ideas for gifts all year round, then start shopping in November. We have never had a routine. When funds are plenty, we tend to purchase earlier but for years funds have been less than desirable so it's pretty much last minute scrambling. My holiday shopping routine is to bargain shop, take advantage of sales as well as shop online, many sites have good sales and also offer free shipping. I stick to a list but also come across good finds on sale, and stick to a budget. I shop all year long,whenever I see a good deal,,I do most my shopping online. My routine for holiday shopping is to shop throughout the year and try to complete my shopping by mid December. I try to win most gifts during the year to be honest! I try to get all the gifts as early as possible and watch for sales. I often wait until the beginning of December to do my shopping somewhat of a procrastinator. My holiday shopping routine is to take each kid separately to the mall to help them shop. Shop on sale year round then you don't get slammed buying crap last minute because you have no other option. I started in January collecting things and did the bulk of my shopping in September and October. I do some online and some instore. It depends on the person and what I'm looking to buy. I shop around and mostly do my shopping online. I make a list of gift ideas and who I'm shopping for, then I look for online deals. I start early and get all the necessary gifts out of the way and then just pick up extras as I come across good deals or really well-suited gifts. I like to start early, online. Then I usually leave my stocking stuffers for the last minute! Shop on line and also do some at the last minute. I just started picking up things as I see them and ordering gifts on-line. A couple weeks before Christmas I will go out one day and get it all done. I make a list and try to get it done the first week of dec. I start early and finish early so I miss the big shopping rush. I make one big trip do it all, and most people get chocolate. I get it done by the start of December, and all in one day! I try to do as much as I can online. This year I did the bulk of my shopping online - much less stressful and I did it at times when I had time- not when the mall was open! I shop all year round, and tend to buy most of my stuff online! I pick things up as i see them. If I don't i never know if they'll be there when i go back. I make a list as i pick things up so i now what i have for who and then i go from there!! I do my shopping 50/50 online vs in store. Compare price from multiple stores. I make a list of everything I need. That way I'm in and out quickly. Check gifts in flyers first, then get in and get out! My routine for holiday shopping is doing all the shopping online and get them shipped to the recipients. I try to finish my shopping by Black Friday. I do about half online and the other half at the mall. My hubby likes to shop more than I do so that helps! I like to start early, I think about it after Halloween, but somehow there are still things left to the last couple weeks! If my greeting cards are written and addressed by Dec 1 I feel organized!